Karrin Allyson is one of the premier jazz vocalists in the world. 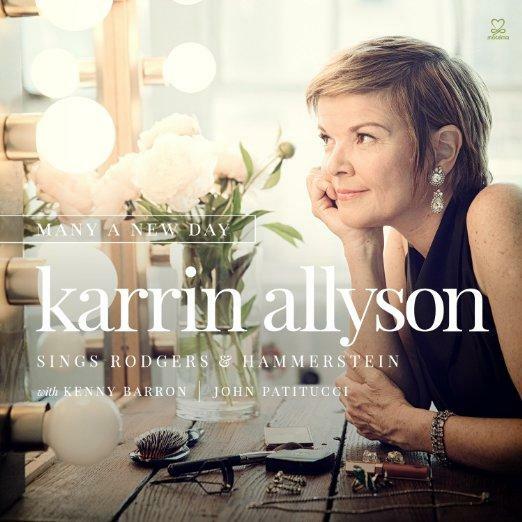 On her latest album, "Many A New Day," she revamps Rogers and Hammerstein classics with jazz-world superstars Kenny Barron and John Patitucci. Karrin Allyson performs tonight at The Blue Room in Kansas City, Missouri. The McFadden Brothers, Ronnie and Lonnie, have been front-line entertainers in Kansas City for years with their combination of singing, tap dancing, sax and trumpet. In this conversation with Steve Kraske, they recall the influences that shaped their professional lives. Growing up, Amanda Fish used to lock herself in her room to sing. So, her younger sister Samantha Fish would lock herself in her room and play guitar. "We were independent experiencers," Amanda says. "She calls it a loner thing, I call it a leader thing," Samantha adds. Fast-forward through the days of wailing with Tom Waits and rocking out to Nine-Inch Nails, and these two musicians are, sure enough, leading their own blues bands around Kansas City and across the country.